Click here to download application to become certified. There are many reasons for seeking professional certification. For some it represents achievement of a career goal while for others it represents a credential necessary to perform their job. Becoming a certified scientific materials manager demonstrates continuing professional development and career advancement. 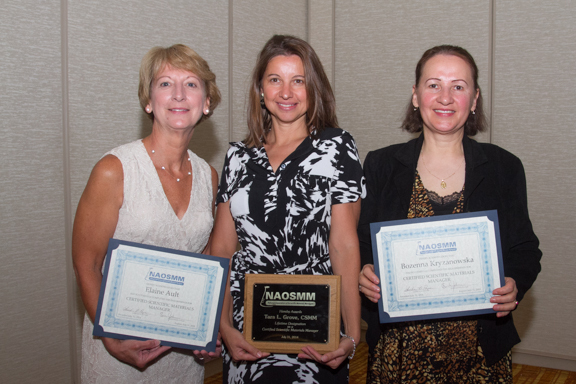 The NAOSMM professional certification program recognizes those who work to improve themselves professionally and requires certification renewal at five-year intervals. It is designed to encourage career-long enhancement of knowledge and skills. Only those professionals committed to keeping up with developments in the field will be able to maintain their certification. 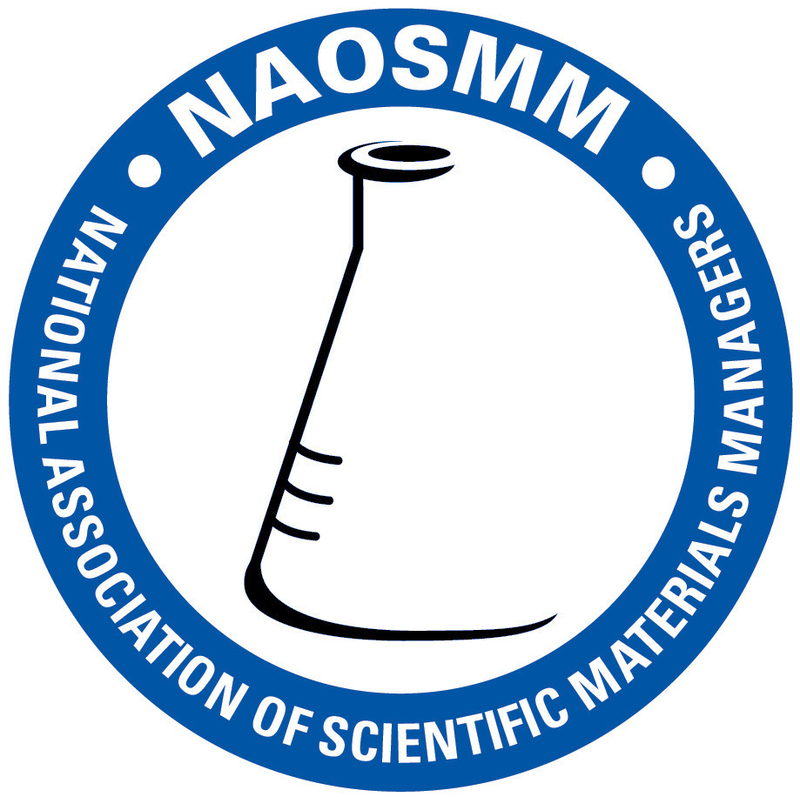 In 1990, NAOSMM developed and adopted an instructional program for the purpose of certifying the NAOSMM members as Certified Scientific Materials Managers. Specific objectives of certification as follows: (1) to provide a definitive minimum standard of experience and education for laboratory professionals; and (2) to foster broader recognition of laboratory professionals as well-educated and experienced, acting in the best interest of the public. The strength and credibility of the program will rise as the participation rate increases. Hopefully a review of the benefits associated with becoming a certified scientific materials manager professional will motivate more of you to pursue certification. NAOSMM is the world’s leading association for scientific laboratory managers and professionals and it has established certification criteria. The Association’s certification program is fully developed and reputable, providing a meaningful credential for those who meet the certification standards. A committee of CSMM professionals objectively reviews the qualifications of applicants. Practiced across a broad range of professions, certification programs provide standards and guidelines for professional recognition. While certification is not a license to practice for laboratory professionals as is required of physicians, architects, lawyers, or accountants, it does provide an extra measure of professionalism. Professional certification serves as a mark of accomplishment. You work as a scientific laboratory professional and should be recognized as such. It provides a measure of status and credibility among your peers. Becoming a certified scientific materials manager may also provide personal satisfaction. Depending on your employer, you may earn more money if you are certified. A few state agencies are providing salary incentives for certified fisheries professionals. Many in the private sector also compensate for certification. It is likely that compensation incentives will increase as more laboratory professionals become certified. Certification may help you get a job or promotion. It demonstrates that you are interested in laboratory management as a profession it is not just a job. In a competitive marketplace, this dedication may set you apart from others. Since some employers require certification for hiring and promotion, CSMM’'s have a greater range of career opportunities. Certification provides an extra measure of credibility within and outside the profession.The program provides a definitive minimum standard of experience and education for scientific laboratory professionals. This credential should quickly establish a Certified Scientific Materials Manager as credible in a wider range of settings. Professional recognition also may benefit you in the performance of your job. Sometimes certification is a benefit when testifying or serving as an expert witness. In situations where competitive grants are awarded based on professional qualifications, certification could set some applicants apart. Supporting and participating in certification of Scientific Laboratory Professionals promotes the status of Scientific Laboratory Professionals within the workplace and society at-large. Some in the profession have complained that we are not held in high regard as those who work in other professions. Others point out that certification is not recognized by employers because relatively few Scientific Laboratory Professionals are certified. One way to improve these situations is to participate in the program. The credibility and strength of the program can only increase with greater participation.